Your driveway is one of the most prominent landscape features in your yard. An attractive, durable driveway can add to your home’s value and improve its curb appeal. We have years of experience in creating outstanding Rockford driveways in a variety of materials, including stamped concrete, brick pavers, poured concrete, and natural stone. Don’t settle for asphalt or blacktop; let us help you invest in your Rockford home landscape by creating an amazing new driveway. Homeowners often choose blacktop paving for their driveways without knowing the many advantages of concrete driveways. Asphalt may be a cheaper choice to begin with, but the cost of repairs over the lifetime of the driveway makes it much more expensive than concrete in the end. 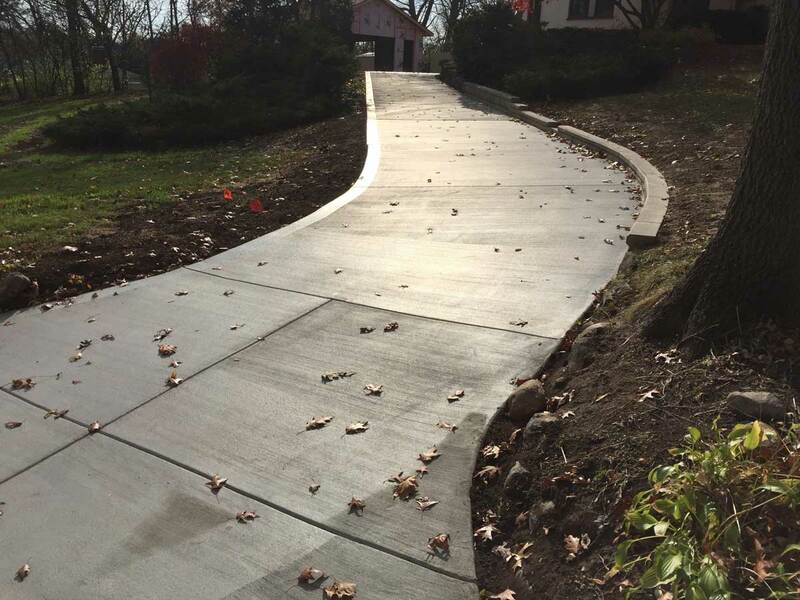 Concrete is a stronger and more durable material, and concrete driveways can withstand heavy vehicle traffic as well as the drastic freeze-thaw cycles of Rockford, northern Illinois, and southern Wisconsin. Concrete driveways are also much easier to maintain than asphalt, and require sealing less frequently. Your Rockford driveway could be constructed using brick pavers and decorative stamped concrete methods, making it much more attractive and visually interesting than plain black asphalt. Asphalt also fades quickly, making your driveway look worn and shabby a few short months after applying a new coat of sealant. Stamped concrete and concrete pavers will keep their vibrant colors and distinct patterns for the lifetime of your Rockford driveway. 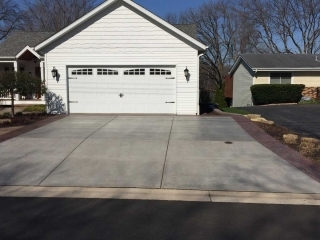 It’s important that your Rockford driveway is installed correctly and has the proper reinforcement; otherwise, it could easily become damaged or unstable. When you choose us for any project, you can be certain that you are working with the best and most professional concrete contractor in northern Illinois and southern Wisconsin. Our ten years of experience in all types of concrete construction has made us experts in the correct execution of any project. Contact us today to get rid of your old asphalt driveway and install a beautiful concrete one.